Enter your information, such as your name, a valid email address that you have access to and a contact phone number (a mobile phone is always the best). Please take care when typing in the email address - this is the email address that you will receive your vouchers at - so make sure it works! 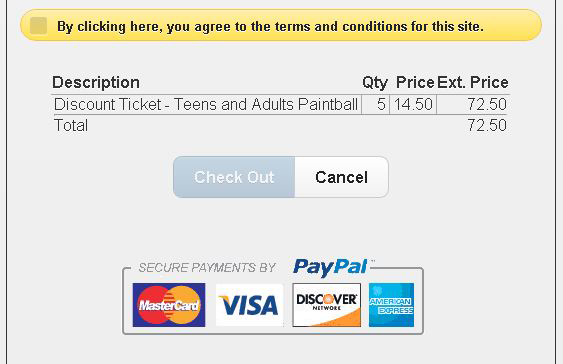 Choose the type of Discount Ticket and the quantity, currently there are three different types of tickets available: Teens and Adults Paintball, Armor Pack, Paintball Reloads. You can purchase as many tickets as you want, keep them for yourself, or email them to your friends as a gift. Enter your payment information and check out using PayPal. 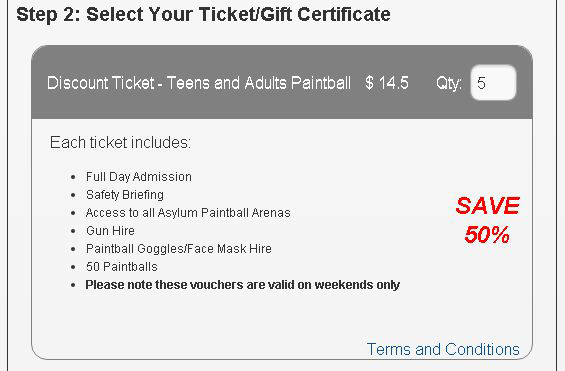 You can purchase tickets using your Visa, Mastercard, American Express or Discover Network card. 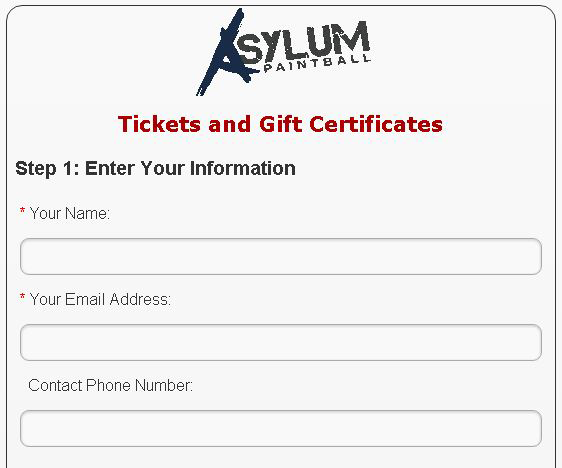 Once payment is completed your vouchers will be delivered to your email inbox. If they do not arrive, please check your junk mail or spam. If you have any problems, please contact 09 277 0075.